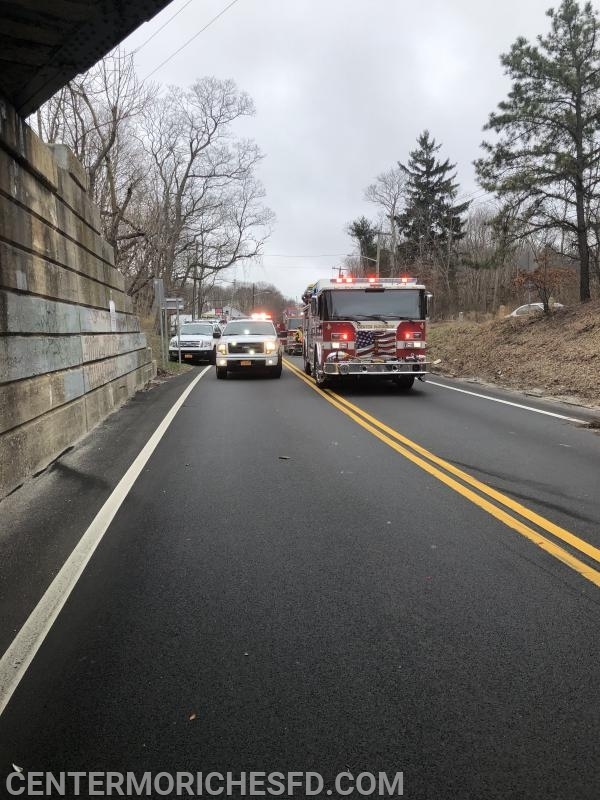 At 3:30pm on Tuesday Center Moriches Fire Department was dispatched to an auto accident with injuries on Montauk Highway just west of Wilcox Avenue at the Long Island Railroad Overpass. 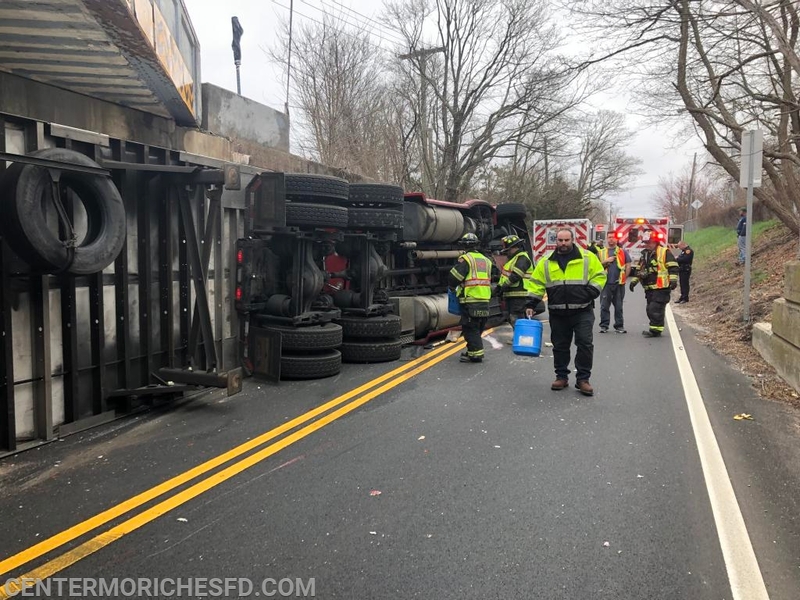 Upon arrival first responders found a tractor overturned in the roadway. 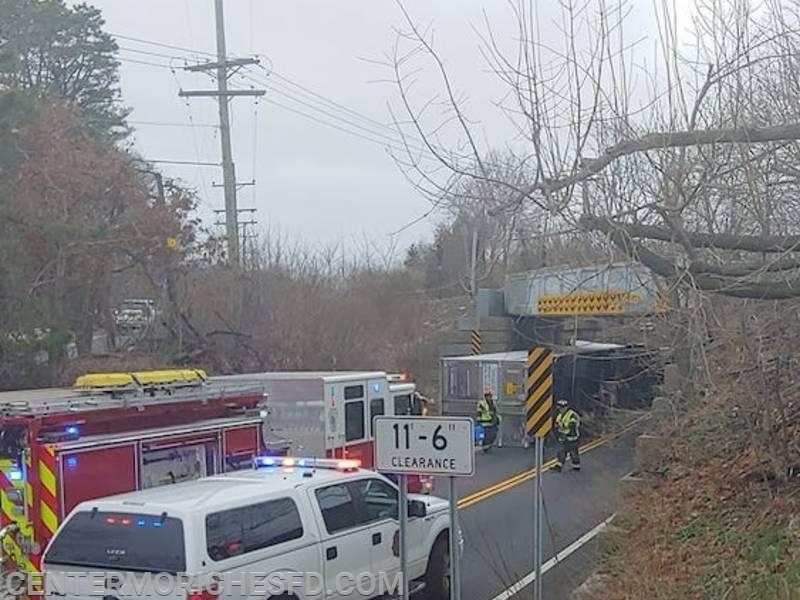 The truck which was heading west on Montauk Highway struck the 11'6" LIRR overpass and flipped over. 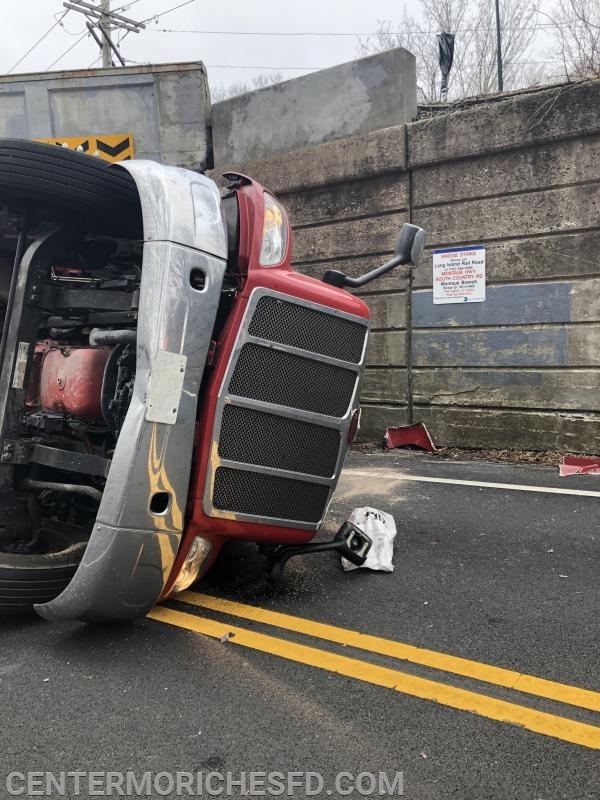 The occupants of the truck were assisted out of the vehicle prior to the fire departments arrival by residents who used a ladder to reach the top of the cab. 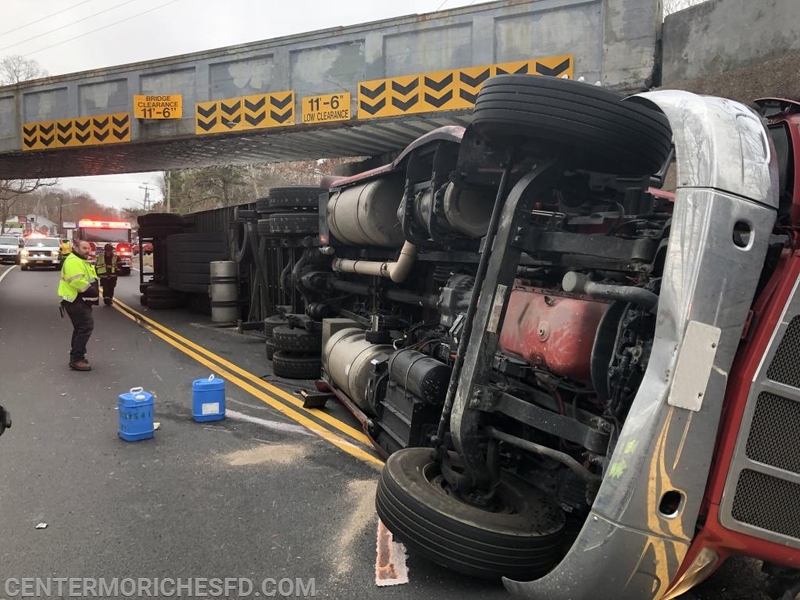 While firefighters worked to contain a fuel spill and secure the tractor trailer, EMS providers evaluated the occupants of the truck and transported them to a local hospital with minor injuries. 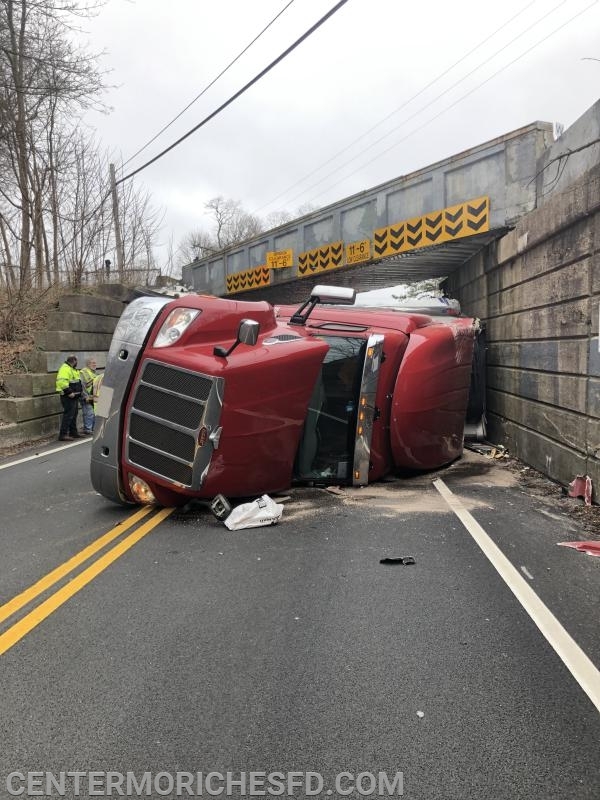 Montauk Hwy was shut down for several hours while crews work to upright the truck and remove it from the scene.